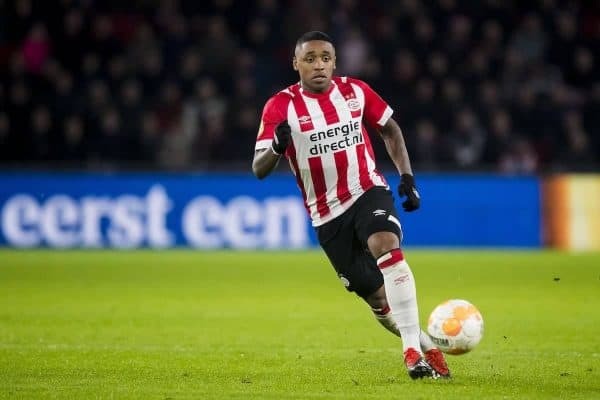 Liverpool have once again been linked with a move for PSV’s wide forward Steven Bergwijn, with the Dutch youngster having an impressive season. The Reds have clearly been keeping an eye on the 21-year-old’s progress, though any suggestion of an imminent bid appears to be well wide of the mark. As far back as June, Liverpool were heavily linked with the attacker, with De Telegraaf noting (via Sport Witness) that scouts from Anfield were watching almost every game across the second half of last term. 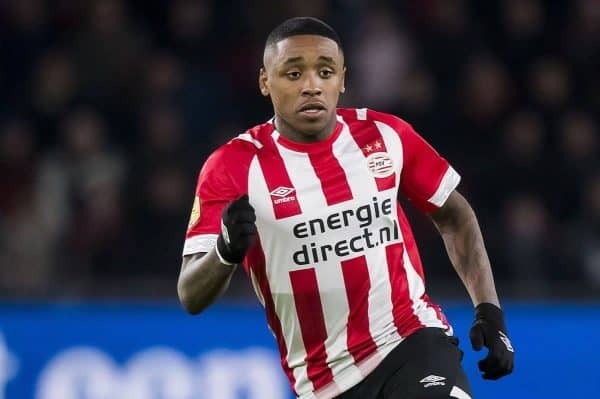 This week, rumours have resurfaced over Jurgen Klopp‘s interest in Bergwijn, with De Telegraaf again cited as the original source by the Mirror and Echo—though no actual news piece on the matter appears to have been released by the Dutch publication. There is, however, a podcast from the newspaper’s chief football writer, Valentijn Driessen, on Bergwijn and the interest in him, where the latest bout of rumours perhaps stem from. Manchester United are rumoured to have interest in Bergwijn as well, while Spurs and Arsenal were mentioned last summer—as well as a host of clubs on the continent spanning Bordeaux, Inter Milan, Torino and more. Driessen suggests the price will be in excess of €30 million for Bergwijn, far from prohibitive for any top Premier League side. While right-footed, Bergwijn plays on either flank for PSV, dovetailing with the prodigiously talented Mexican winger Hirving Lozano. Lozano shot to wider prominence at the 2018 World Cup and has been rumoured to attract interest from the Premier League and LaLiga, with a reported tag of up to £40 million. It should interest Liverpool supporters, then, to note Bergwijn—two years younger than Lozano—is posting numbers equivalent to or better than his team-mate. While Lozano has notched 11 goals in the Eredivisie this term, Bergwijn has nine in around 50 fewer minutes—and eight assists to Lozano’s six. Bergwijn also posts better per-90 minutes stats on dribbles (4.7), successful dribbles (3.0) and key passes (2.6) and equals Lozano for shots on target (1.5). Since making his debut in the latter part of last year, Bergwijn has amassed three senior caps as part of Ronald Koeman’s renewal programme with the Dutch national team, where Gini Wijnaldum is a key figure and Virgil van Dijk is captain. The wide man hit a hot streak in front of goal just before the Eredivisie winter break, scoring five in six league games, and claimed an assist at the weekend in his first game of 2019. PSV, like Liverpool, lead the domestic league table and Bergwijn will play a key role in their attempt to land the title.